Gerardo Barrera was raised in Cancun, Mexico and relocated to the US in the late 90s. 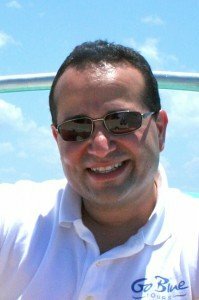 His journey began in the travel Industry 16 years ago when he joined as Accounting Manager for StudentCity.com and gradually became Chief Financial Officer of the parent company, TUI Education North America. Gerardo lives in Boston with his wife and two boys. He is the inspiration behind Go Blue Tours. 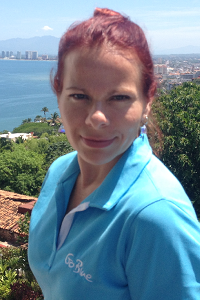 Originally from Chihuahua, Mexico, Lupita has over 15 years experience in the travel industry. She is an experienced and licensed bilingual Tour Guide and Tour Director and has worked for many global travel agencies like StudentCity.com, Class Travel and Grand Circle. 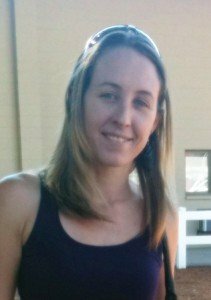 She joined the Go Blue Tours Team as Operations Manager and is our Expert in Hoppers and custom made Tours. Born and raised in North Reading, MA, Kelsey is a recent grad from the University of Rhode Island. 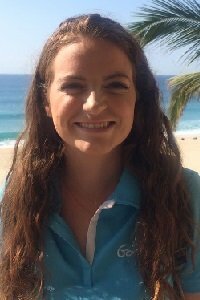 During Spring Break 2014, she went to Puerto Vallarta where she caught the “travel bug” and loves that she spends her days helping students plan the best Spring Break trips possible. Despite many, MANY, MANY attempts, Kelsey has yet to Dance with the Devil. Maybe this Spring Break will be the year!!! Born and raised in Gloucester, MA, Moria spent a year traveling North America after graduating from Coastal Carolina University. 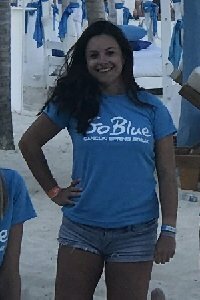 After spending the duration of Spring Break 2016 and 2017 in Cancun she cannot wait to help you have the same unforgettable Spring Break experience she did. 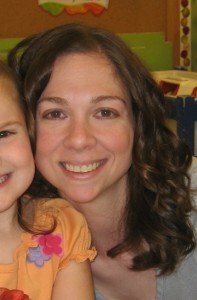 Born and raised in Boston, Liza now lives in Stoneham, MA with her husband, daughter and son. After graduating from Salem State College, Liza traveled to Ireland and Paris and from there grew her love of travel. Her Accounting background began after college where she started as a billing specialist at a private Boston bank and her role soon grew to a Senior Accounting/Accounts Receivable Analyst. She’s happy to be a part of Go Blue Tours as an Accounting Coordinator. Born and raised in California, Jess now resides in beautiful Southern Oregon. Many years ago she discovered her love for programming and ever since has spent her time creating online solutions that bring people and businesses together. Fueled by caffeine and web-geekery, she strives for that perfect balance of function and form and it has been her great pleasure to work with Go Blue Tours! There is only so much we can do from the states. Each year, we rely on our onsite Spring Break Hosts to provide the best vacation possible to our student travelers. These people work there butts off all day, every day making sure everything goes as smooth as possible. We couldn’t be happier and more proud our our Spring Breaks Hosts for the service they provide.